Most of us are all too well aware of the need to visit our dentist in Leeds at regular intervals, and many simply assume this is to make sure our teeth and gums are healthy. While this is one important aspect of your regular checkup at Leeds City Dentalcare, Dr David Brown or another dentist will also carry out an oral cancer screening as standard. Oral cancer is quite rare, but a lot of people are simply unaware of the risks, and the fact that early intervention could help save lives. The annual report on Cancer Waiting Times for 2012 to 2013 was recently released and showed that 1,252 patients who were suspected of having some sort of head or neck cancer had to wait longer than three weeks to be seen by a specialist, and this delay could increase the invasiveness of treatment, and its effectiveness. Between April 2012 and March 2013, cancer specialists in the UK saw more than 1 million patients. Some 96.1% of those suspected of having head and neck cancers were seen within two weeks of referral, a slight decline on the figures for 2010 to 2011 when 96.3% of patients were seen within two weeks. Even though these figures seem pretty impressive, more than 50,000 patients were not seen during this time frame. Obviously anyone suspected of having cancer will want to have it diagnosed as soon as possible. The chief executive of the British Dental Health Foundation, Dr Nigel Carter OBE has pointed out that most people with mouth cancer are seen when the disease is relatively well advanced, and when time is of the essence. Head and neck cancers are becoming more prevalent, and the British Dental Health Foundation is asking that patients be seen within a two-week referral period, as without early detection and treatment the survival rate for mouth cancer is just 50%. In comparison if the disease is caught early enough then survival rates over five years can increase up to a much more respectable 90%. Each November the British Dental Health Foundation organises the Mouth Cancer Action Month campaign to help raise awareness of this disease. Risk factors for the disease include drinking alcohol to excess, smoking, having a poor diet, or having the human papilloma virus. In 2010 more people died from mouth cancer than from both testicular and cervical cancer, and early detection is essential. Regular check-ups will help your dentist in Leeds to see if anything is amiss, they’ll be looking out for signs of thickened areas of tissue in the mouth, areas that look white or red in colour, or any unusual lumps or swellings. Other common signs include having mouth ulcers that fail to heal within three weeks. Even though regular checks help a lot it is still well worth being aware of these early signs and keeping an eye out for anything that you think might be unusual. If you do think something isn’t quite right and then we’d always urge you to contact the dental team at Leeds City Dentalcare for advice. It’s most likely that any changes are due to something else, but it always pays to be on the safe side. This entry was posted in General Dentistry on 26th May 2014 by Dr. David S Brown. In addition to dental implants in Leeds, Leeds City Dental Care offers endodontic treatment to patients whose teeth are compromised. Endodontic treatment is better known as root canal therapy or treatment, and is something that many people will have already had carried out on one or more of their teeth. The actual word is derived from the Greek word eno, which means within, and the Greek word odous, which means tooth. Endodontic therapy may be used by Dr David Brown to remove the infection from a tooth, and it also helps to prevent the tooth from becoming re-infected. The actual treatment is centred on removing the pulp of the tooth, which is right in the middle of the tooth. Even though endodontics is often referred to as having a root canal, this term is not strictly correct. Every tooth has root canals, and some teeth can have more than one. The root canals contain all the nerves and blood vessels of the tooth, as well as some other types of cells. What Happens When the Pulp is Injured or Diseased? If the pulp becomes injured or diseased then it is not able to heal itself, and it will die. This is something that can occur as a result of bacteria entering the tooth through a cavity or through a crack in the tooth. If the infection isn’t treated then it will spread to the bone, and will eventually attack the ligaments holding the teeth in place. The final result could be the loss of the tooth. If you do have toothache, or feel as if the tooth is throbbing or that it is painful to bite down on, then it is best to make an appointment to see one of our Leeds dentists for diagnosis and treatment, as early intervention could help to save your tooth. What is involved with Endodontic Treatment? Endodontic treatment is used to clean out everything that lies within the root canals, so the area is completely decontaminated. The process involves making an opening in the crown of the tooth, exposing the infected root canals. Your Leeds dentist will then use a series of specially shaped files to thoroughly clean out the canals, removing all the infected, decaying and dead tissue. The canals are thoroughly irrigated to make sure they are completely clean, before the area is sealed up. If you had a particularly severe infection then it is quite possible that your dentist may choose to temporarily seal up the root canals, just in case bacteria are still present. Once they are sure all the infection has completely cleared up then they will seal up the root canals permanently before restoring the tooth. Once this process is completed then the tooth is effectively dead as the nerve has been removed. This means it can no longer cause any pain. Even though the tooth is dead, it is still fully functional, and should last for a number of years or even a lifetime. Without endodontic treatment, the tooth would have to be removed as this type of infection cannot clear up on its own. We do find that many patients visiting Leeds City Dentalcare, often to find out more about dental implants in Leeds, are initially nervous of having endodontic therapy and are pleasantly surprised at the reality. Treatment for most people should be no more unpleasant than having a filling, and is something that is carried out routinely. This entry was posted in General Dentistry on 22nd May 2014 by Dr. David S Brown. Root canal therapy or root canal treatment is all the same thing, and involves having the diseased and infected pulp removed from the central part of your tooth. It’s something we know a lot of people fear having done, but most people find it little more unpleasant than having a filling, and it’s a truly excellent treatment for saving a tooth. Before root canal treatment was invented, our dentist in Leeds City Dentalcare would’ve had no other choice but to extract the infected tooth, but nowadays root canal therapy can prolong the life of the tooth for many years, or possibly even your lifetime. But what can you expect immediately after having a root canal? After having your root canal placed by Dr David Brown then it is wise to refrain from eating or drinking anything within the next half an hour. You probably won’t feel like eating anyway as you’ll still be a little bit numb. Try not to fiddle too much with the affected tooth with your tongue as your temporary filling may feel a little bit sensitive at first. If you have a temporary filling, it’s important that you come back to Leeds City Dental care to have your permanent filling or crown fitted within a month of having root canal treatment. If you don’t do this then there is the risk that your treated tooth will fracture, or new decay may develop around the edge of the temporary filling. This could cause your root canal to fail and you may need retreatment. While your tooth has a temporary filling its best to avoid chewing or biting down on anything hard, as until it is permanently filled or crowned it isn’t as strong as it would have been before. If you bite on anything too hard there’s the risk that it could crack the tooth. Occasionally a temporary filling may fall out, in which case you might need to visit our dental surgery to have it replaced, or you might want to purchase temporary filling material from your local chemists until you can get in to see us. It’s normal to feel a little bit of discomfort for a couple of days after treatment, and it could be that your jaw feels slightly achy from having had to have your mouth open for a prolonged period of time, or your gum might feel a bit sore from the injection. Any discomfort is usually easily controlled with over-the-counter painkillers, but if it continues for a prolonged period of time, or seems to get worse and it’s well worth contacting our dental surgery in Leeds for further advice. It’s very rare, but occasionally a root canal can flare up after treatment. This usually occurs if the tooth was particularly badly infected, but it’s something that can happen randomly. If this happens then you need to return to our surgery as soon as possible for treatment, and we may want to prescribe antibiotics to help control any infection. It is important to stress that this is very rare, and most root canal therapy is extremely successful. You can help avoid the risk of having a root canal through practicing preventative dental care. Leeds City Dentalcare can provide you with professional dental care that will keep your teeth and gums in good condition. Our staff can also give you lots of advice on looking after your teeth at home. This entry was posted in General Dentistry on 27th March 2014 by Dr. David S Brown. The majority of women all too well aware of the dangers of smoking or drinking alcohol or using drugs during pregnancy, but not so many know about the connection between gum disease and a healthy pregnancy and baby. There’s been quite a lot of research conducted into the link between chronic gum disease, called periodontal disease and the risks posed to pregnant women. It’s been found that having poor dental hygiene could increase the risk of having a low birth weight baby, or even miscarrying, or of having a preterm baby. This is one of the reasons why Leeds City Dentalcare recommends women trying to become pregnant book a full check-up beforehand. This will allow our dentist in Leeds to ensure your teeth and gums are healthy, as it’s much easier to carry out treatment before you become pregnant. Healthy gums help ensure that all the bacteria in the mouth remain in the mouth, and cannot enter the body through the bloodstream. They are designed to fit snugly around the teeth, creating a barrier. Gum disease is a bacterial infection, and the inflammatory response from your body causes the gums to become swollen, to begin bleeding, especially when brushed and flossed, and eventually to begin pulling back from the teeth. When your gums bleed, the bacteria in your mouth are able to enter the bloodstream, and can travel around your body creating more sites of inflammation. If you do have any signs of gum disease, then Dr David Brown will be able to treat this condition before you become pregnant. He can also arrange for you to have treatment for any other dental diseases such as tooth decay, and can carry out any necessary x-rays before there is any risk of you being pregnant. In addition, Leeds City Dental care can also advise you on the best way to keep your teeth and gums healthy during your pregnancy. The hormonal changes can affect your gum tissue, and can increase the risk of you developing a condition called pregnancy gingivitis. This is where the increase in its oestrogen makes the gum tissue more sensitive to plaque bacteria, and this means they can become inflamed and will appear swollen and red, and are likely to bleed when you brush or floss. This condition is quite common and is estimated to affect up to half of all pregnant women. The good news is that it should clear up once the baby is born. Another relatively rare condition that can develop on the gums is something called a pregnancy tumour, but this is benign and is usually harmless. It is a growth that can appear in an area where you have pregnancy gingivitis, and may grow up to three quarters of an inch in size. Once again, this should clear up by itself once the baby is born, but otherwise you may need to have it removed. We may also recommend you have more frequent check-ups during your pregnancy, and this is simply so we can check to see whether or not you have any signs of pregnancy gingivitis so we can take steps to minimise the infection. We can do this by professionally cleaning your teeth as this will help to remove the plaque bacteria that are causing the infection and inflammation. It’s also really important that you take good care of your teeth and gums at home. This entry was posted in General Dentistry on 6th January 2014 by Dr. David S Brown. It’s that time of year again as summer starts to draw to a close and the new school term looms large. It’s a time for new beginnings, and it’s also a great opportunity to get into a regular routine of booking check-ups for your children. This will help ensure they start the new term with a nice, healthy mouth and it helps lessen the chance of needing to extract them from school for emergency dental appointments. Tooth decay is a common problem, and many children have at least one cavity or a filling, and in fact this condition is second only to the common cold in its prevalence. Children who are in poor dental health are more likely to have problems concentrating at school, and they’re less likely to be able to eat a healthy diet. 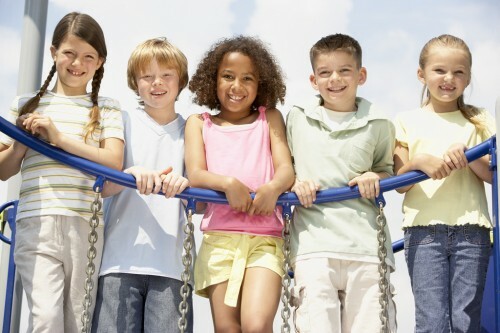 It’s also estimated that many school hours are lost each year due to dental related illnesses. A quick check-up now with Dr David Brown or another of our Leeds dentists could help prevent minor dental concerns developing into major dental problems. A lot of people don’t realise that tooth decay is a bacterial disease, and it’s something that can be easily prevented through making sure your child brushes and flosses each day, and through limiting their intake of sugary snacks and drinks. 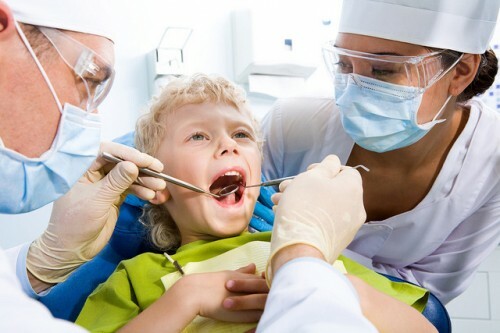 Our dentist in Leeds City Dentalcare will also advise you how best to look after your children’s teeth, and can check that they are developing normally. If your child recently lost their primary teeth, and now has all their adult chewing teeth, then it’s well worth asking about dental sealants. Dental sealants are a great preventative dental care treatment that can help to prevent tooth decay. They work by sealing the chewing surfaces of the back teeth, preventing bacteria from becoming trapped in the deep fissures and grooves in these teeth. Treatment is quick and simple and will only take one visit to our Leeds surgery to complete. Dental sealants can only be used on healthy teeth that don’t have any fillings or signs of decay, so it’s quite important to act quickly. Your Leeds dentists will clean and dry your children’s teeth before painting them with a solution that helps to roughen the surface of the teeth slightly, as this creates a better bond between the sealant and the tooth. This solution is washed off, the teeth are dried, and the sealant is painted onto the chewing surfaces of the teeth and hardened; it really is as simple as that. Our dentists in Leeds can also advise you as to whether or not your child requires orthodontic treatment to straighten their teeth. We offer a number of different orthodontic braces, including some that are nearly invisible, something that makes them much easier for self-conscious teens to wear. Today’s modern orthodontic braces tend to be removable, making it easy for your children to keep their teeth clean and free from disease during treatment. Apart from improving the look of their teeth, orthodontic treatment can make it easier to brush and floss, decreasing their chances of developing gum disease or tooth decay. Getting the right dental treatment during these early years, and getting your children into the habit of regularly visiting the dentist, will help them have a healthy smile for longer, possibly for their entire life. This entry was posted in General Dentistry on 3rd January 2014 by Dr. David S Brown. Do you know what to do in a dental emergency? Injuries to the teeth and gums often need urgent attention, and simply ignoring the problem could mean that any damage is permanent, and is likely to increase the need for restorative treatment at Leeds City Dentalcare. Making sure you seek help earlier rather than later could cut the cost of treatment, as it is likely to be less invasive and less time-consuming. The most common dental emergency is toothache, and is something that most of us have had at some stage or other. It’s worth making sure there’s nothing trapped in between your teeth that could be pushing the tooth out of position, causing the pain. Otherwise make an appointment to come and see Dr David Brown or another of our dentist in Leeds. It’s important to keep this appointment even if your toothache seems to clear up as there’ll always be a reason it occurred in the first place. Toothache can often occur if the tooth has been damaged in some way, allowing bacteria to enter the central part of the tooth which is called the pulp. If this becomes infected it can be pretty painful, but eventually the pulp will die and the toothache may seem to disappear. However the bacteria will still be present in your tooth, and will still be able to destroy the root of the tooth, and potentially the surrounding structures of your tooth such as your tooth sockets. Another common problem is dealing with a tooth that has been knocked out. It is important to act quickly to save the tooth, as re-implantation will be much more successful if carried out within that first hour. Pick up the tooth by its crown (the part of the tooth normally visible in the mouth), and carefully rinse of any visible dirt from the root, taking care not to touch the root. If you can, re-insert the tooth, but make sure to seat it the right way round. Hold the tooth in position with a clean finger until you can get to our Leeds surgery, or to see another emergency dentist. Don’t want to re-insert it yourself? Place the tooth in a small container with some milk or plain water, and rush over to see us! If you manage to do this then there is a chance that the tooth can be saved. Otherwise we will need to look at suitable ways to artificially replace the tooth. This is something that can be done by placing an implant, a dental bridge, or through using a partial denture, but it is much better to try to hold onto your natural tooth. You can help to decrease the risk of toothache simply by making sure you visit Leeds City Dentalcare regularly for check-ups, and through making sure you take good care of your teeth at home. If you love to play sports, then you might want to ask Dr David Brown about custom-made mouthguards, as they can help protect your teeth and can save them from being knocked out. Spending a little on a mouthguard could save you a lot in restorative dental care. This entry was posted in General Dentistry on 12th December 2013 by Dr. David S Brown. Is it Time to Have Your Wisdom Teeth Extracted? Wisdom teeth are renowned for being a symbol of wisdom as they don’t erupt until the late teens or early 20s. However many people will need to get them removed as there’s simply not enough room in the modern jaw to accommodate these third molars. The problems can begin as they try to erupt and it is important to know when it is time to ’bite the bullet’ and get them removed by your dentist in Leeds.. If you think you may have an infection around your wisdom teeth then it’s important to make an appointment with Leeds City Dentalcare to see Dr David Brown or another dentist. They will be able to diagnose any infection and can work out a suitable plan of action. This may include treating the infection with antibiotics, but if the inflammation is severe, and if it reoccurs, then it may be necessary to extract the wisdom tooth or to at least remove the flap of gum tissue. Wisdom teeth can also cause problems if they try to erupt in the wrong direction, for example if they try to come up horizontally under the tooth next door then they will require extraction as otherwise they could damage your existing teeth. If you already visit our Leeds surgery at regular intervals then we will most likely be aware of any potential problems that might develop when your wisdom teeth try to erupt. Regular x-rays will allow our dentist in Leeds to track the progress of the development of your wisdom teeth so action can be taken if they need extraction. Not everyone will need their wisdom teeth removing, and as they can and do erupt perfectly normally. However if you are likely to develop problems then it’s easier to have them taken out when you’re younger and before the roots are fully developed. As you age the tooth roots begin to fuse into the jawbone, making extraction more difficult. Having a wisdom teeth extracted before problems develop will mean the surgery is more comfortable, and you’re likely to recover more quickly afterwards. If you are older and require wisdom teeth extracted then it’s still not something you should be scared of having done, as modern surgical techniques will ensure you are kept comfortable during the whole process, and even all four teeth can be taken out in a remarkably short period of time by an experienced dental surgeon. This entry was posted in General Dentistry on 18th November 2013 by Dr. David S Brown. What are the Worst Dental Habits? You try your best to take care of your teeth, and visit Leeds City Dentalcare for regular check-ups and cleanings, but do you have one or two habits that you just know dentists in Leeds would frown on? A lot of people do, but do you know why they are so bad for you, and how you can stop them? We have put together a list of the worst dental habits, and how they can be prevented. Crunching on ice-cubes. Most of us have done this one, but some people make more of a habit of it. It might seem harmless, but it could damage your teeth. Crunching on hard ice can cause microscopic cracks to form in your tooth enamel. Every time you bite down these cracks will open up very slightly, and can allow bacteria to enter the tooth. This could lead to decay and infection that will require treatment with one of dentist in Leeds. One of the first signs that this might be happening is noticing your teeth are more sensitive when exposed to hot and cold foods. Using your teeth to open things. If you are struggling to open a packet then it is all too easy to use the first thing that comes to hand…your teeth. This habit can be very hard on your teeth, and can chip, crack or fracture them. It is worth bearing in mind that you could end up requiring restorative dental work at Leeds City Dentalcare, and that it is healthier, and far cheaper to just use the correct tools that have actually been designed for the task in hand. Teeth grinding. Teeth grinding, or clenching your teeth can cause extensive damage to both your teeth and gums. This habit is frequently related to stress, and one of the problems is that it can occur only at night. Some people are completely unaware they have this habit until they are told about the row they make grinding their teeth while asleep. Teeth grinding does require action, as it will wear down the teeth and can cause the gums to recede due to the forces created when grinding. It can also place a lot of pressure on the muscles in the face, and in particular the joints used to move the jaw. Dr David Brown or another of our dentists in Leeds can supply you with a custom made mouthguard that will help protect your teeth. This may be enough to break the habit as it will help to place your jaw in a more relaxed position, but if the problem is stress related then you will need to resolve this problem. Using a very hard bristled toothbrush. Some people choose to use a toothbrush that has very hard bristles in the mistaken belief that it will clean their teeth more effectively. This really isn’t necessary, and it is much kinder on your teeth and gums if you pick a brush with quite soft bristles. Great tooth brushing is all down to technique, and you don’t need to brush very hard to remove plaque and debris from your teeth. If you are unsure about brushing your teeth correctly, or would simply like a quick refresher on brushing techniques then ask our dental surgery in Leeds for help. This entry was posted in General Dentistry on 17th October 2013 by Dr. David S Brown. When is it Necessary to Have a Root Canal? Root canal therapy is used to help save a tooth that has been damaged, and which has subsequently become infected. You may also hear this treatment referred to as endodontics. Before root canal treatment was devised dentists had no other option but to extract the tooth. Root canal therapy is routinely carried out at Leeds City Dentalcare using the very latest techniques and equipment. Root canal therapy is necessary if the tooth has become infected, and this is something that can happen if bacteria have been able to access the inside of the tooth. Bacteria can penetrate the tooth if the outer layer of enamel has become damaged in some way, exposing the dentine underneath. Dentine is not as hard as enamel, and the bacteria will attack it causing decay. Sometimes there may be very few symptoms, and almost no pain, or the toothache might seem to get better. This may simply mean the pulp has died so it can no longer cause any pain, but does not mean the infection has gone. This type of infection does need treatment to clear it up as it will not do so on its own. It is important that you make an appointment to visit Leeds City Dentalcare to find out why you had toothache so you can receive the appropriate treatment. Infection can spread from the dead pulp right down into the tip of the root, creating an abscess. If you fail to seek treatment then there is the chance that the pus created by this infection will continue to build, and it will seek a way to drain out. The pus can drain into the tissues in the neck, and may even create problems with the heart, or it can drain into the brain, and in the worst case scenario will create neurological problems. Ignoring this condition can also lead to cysts developing right at the base of the tooth root, and cysts have the potential to cause extensive problems. They can weaken the jaw and may become infected, causing pain and swelling. Dr David Brown or another our dentist at Leeds City Dentalcare can easily diagnose a dental abscess, and can provide treatment to drain the abscess and to clear the infection. It is likely that you will require dental x-rays so they can see whether or not the infection has damaged the surrounding bone. It may still be possible to treat the tooth, but sometimes it may be necessary to extract it so the abscess can drain through the socket. Great dental care can prevent the need for root canal therapy and is easy to do. It only takes a few minutes each day to brush and floss your teeth, and you probably only need to visit our Leeds surgery twice a year for check-ups and professional cleanings. Some people may be more at risk of developing dental diseases and might need to visit more frequently, but preventative dental care can save time, money and pain. This entry was posted in General Dentistry on 10th October 2013 by Dr. David S Brown. Could Dental Injections Be Replaced with a Nasal Spray? It is certainly beginning to sound that way, as American scientists have recently developed a new nasal spray and it could eventually replace the need for needles. The nasal spray is called Kovacaine Mist and has already been extensively trialled. The results look promising as some 83% of patients didn’t require any further anaesthetic. The level of anaesthesia provided is sufficient to perform restorative dental procedures. The spray is currently being tested by the US Food and Drug Administration, and the product could receive final approval by as early as next year. This should make things a little easier for people who are a little anxious about visiting the dentist as it’s estimated up to three quarters of the population feel some sort of dental fear. However we understand that some people simply find it difficult to even walk through the door, and that a new nasal spray might not be enough to make a difference. Leeds City Dental care does do its best to ensure patients are kept as comfortable and relaxed as possible, and Dr David Brown and all our dentists do understand that people don’t always enjoy coming to visit us. In fact we have been successfully treating nervous patients for years, and it’s not uncommon for our dentist in Leeds to see people who haven’t felt able to visit the dentist for decades. We don’t judge, and would never tell anybody off for not seeing the dentist sooner as we do realise how overwhelming it can seem. If you haven’t been to a dentist for a while then you might be surprised at how different things are nowadays. You’ll find our modern surgery is clean and comfortable and our waiting room is designed to put you at your ease. But our main weapon is simply good communication. The dentists in our Leeds surgery will take the time to listen to your concerns, and will answer all your questions in language that is easy to understand as we won’t try and baffle you with dental terminology. It’s important to remember that the first visit is merely an examination and that you won’t have to face any treatment. This is simply a chance for you to come familiar with our surgery and with our dentists in Leeds, so you feel more comfortable about receiving treatment. 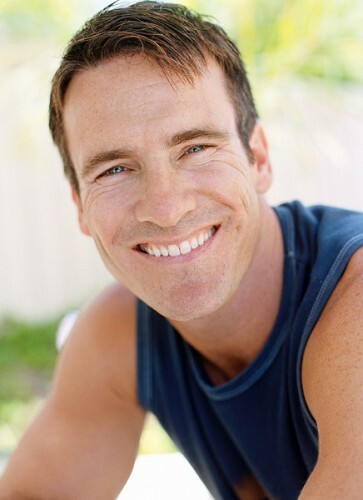 If you do have any dental issues then we can work out a treatment plan that suits you. Our aim is to help you regain your dental health, and afterwards to help you maintain it through regular dental care appointments combined with good oral care at home, so you have a smile you can be proud of. Once you have regained your oral health then it you should find it is perfectly straightforward to maintain it, or you may even want to think about improving it through having cosmetic dentistry in Leeds. The value of having healthy teeth should never be underestimated but we never lose sight of the person behind the smile. This entry was posted in General Dentistry on 16th September 2013 by Dr. David S Brown.